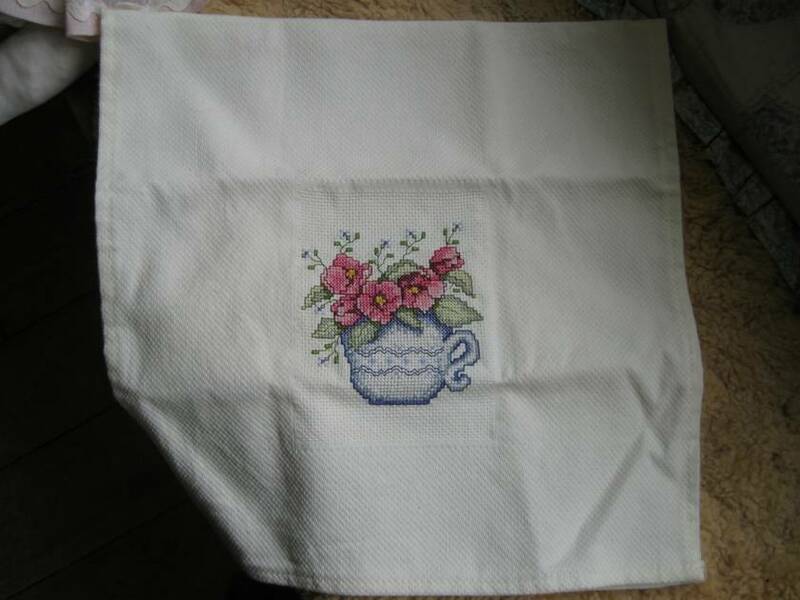 Towel with Cross stitched inset. 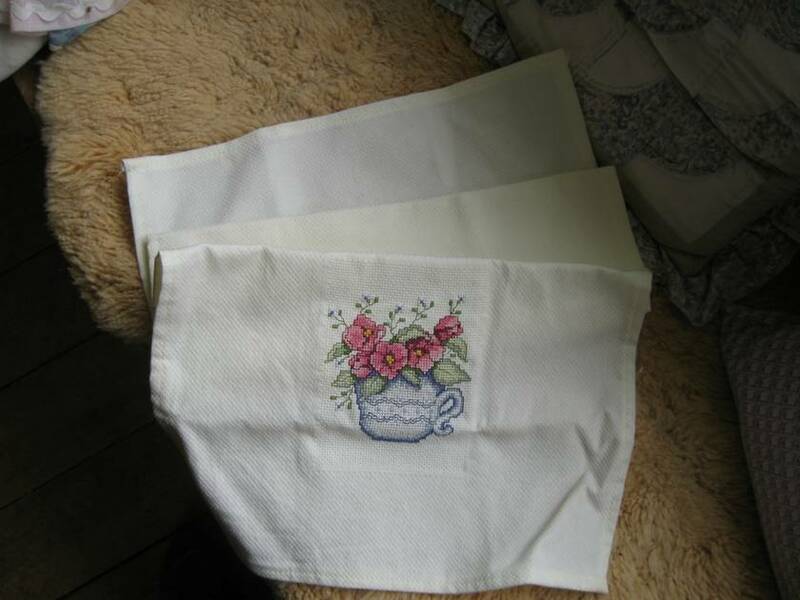 This dainty towel could be used as either a hand towel or tea towel. 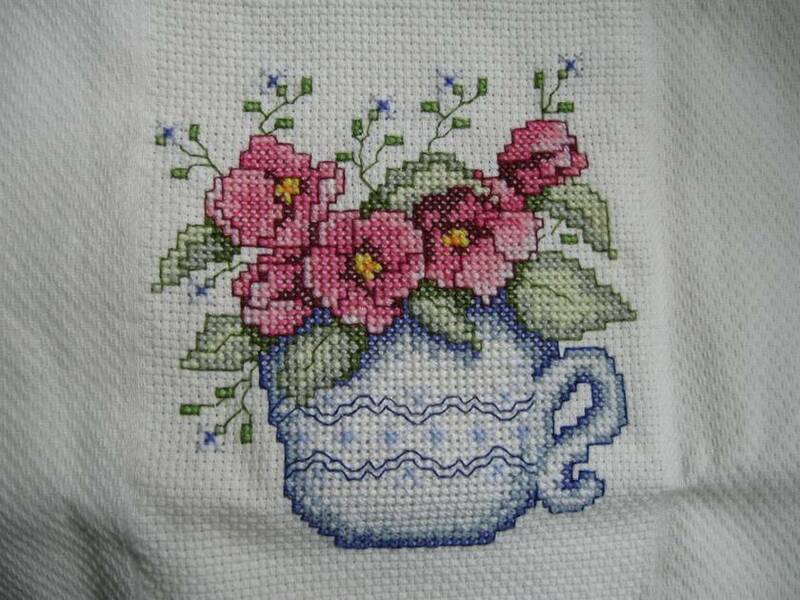 It has a delicately cross stitched inset of a traditional blue jug filled with flowers- an ideal gift. Made of top quality cotton and measuring a good sized 26" X 13", it will wash very well and last a long time. (Double click on photos to get larger image).